You have a few hours to kill and want to be indoors, dry and warm, but engaged? 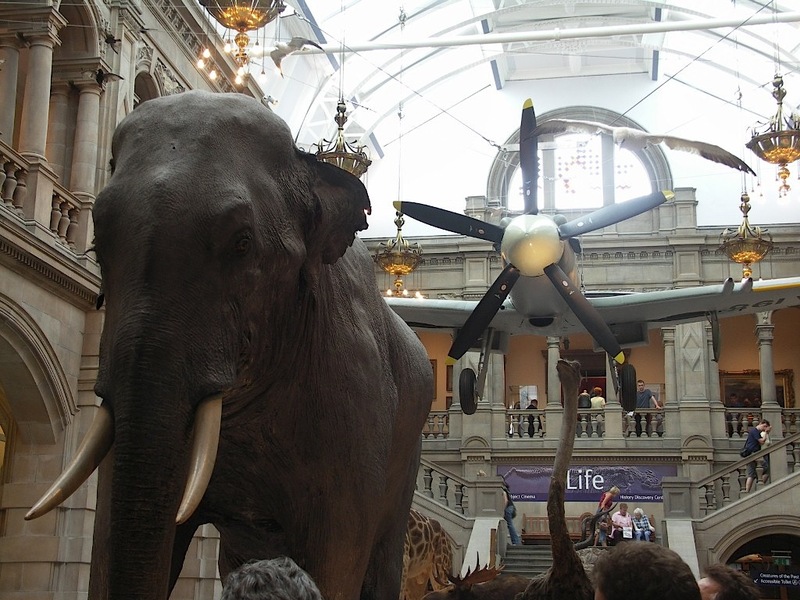 Have you travelled to Glasgow with your family and you want to soak up the culture? Are you interested in art and history? If either of these applies to your visit – and in many other circumstances too – you should visit the Kelvingrove Art Gallery and Museum. Located in the park of the same name, this popular museum – the most visited in Scotland – is housed in a magnificent Victorian construction. The building is only a small part of the Palace of Fine Arts of the 1888 International Exhibition. There are many reasons to visit the museum: from its marvelous location in the heart of the West End (see the views from Partick bridge, with Glasgow University in the background), to its child-friendly atmosphere, its exhibits and the biggest perk of all: it’s free. Aside from these advantages, the Kelvingrove is full of treasures, which make it surprisingly interesting. The redesigned interior was conceived by a company who have, in previous works, designed shopping centres, so the visitors’ attention is constantly stimulated, crowds are managed, and it is well organized and displayed, with a sizeable number of interactive and educational displays. Spread over three floors, of which the lower ground hosts itinerant exhibitions, the museum’s two wings are divided into two topics, to the East, Expression; to the West, Life. Visit Glasgow’s favourite Kelvingrove spots include Salvador Dali’s surrealist religious masterpiece Christ of Saint John of the Cross (Level 1, Life, on top the stairs to the left from the commanding Spitfire). Just in the floor below, you can find the Museum’s most popular resident, Sir Roger, an elegant life-size elephant. The area dedicated to Expression is dominated by a series of white heads, suspended from the majestic ceiling (do look up) and depicting a number of human facial expressions. Visitors arriving in Glasgow by air may find the sight familiar, as it is a flagship image of Glasgow city tourism, and is one of the first things that can be seen as one steps out of the plane at Glasgow International Airport. Our favourite picks in this wing are Mackintosh and the Glasgow style display (Ground Level) and, on level one, the section entitled Every Picture tells a Story, where quizzes decide whether a young girls holding hands with two men should go for the blond or the brown haired one, and visitors are invited to write what a bored couple and their butler might be thinking while seated at their dinner table. Art lovers should not be dissuaded by all these interactive screens. The museum hosts a good collection of French, Italian and Dutch art, including Rembrandt, Vuillard and Degas (more of whose work can be seen at the splendid Burrell Collection), and some contemporary Scottish Art (Glasgow is the home of many Turner Prize winners). The museum has daily guided tours for the more curious and also hosts events and even organ recitals. The Museum café, located in the Ground floor’s main foyer is convenient, but can get very crowded so we recommend you cross the road to Beanscene (1365 Argyle St), which, although it may be a little more expensive, has a better selection of refreshments, and a great, relaxed atmosphere. For something more substantial, head to Mother India (just next to Beanscene), where the selection of Indian finger food, tapas style, is astonishing. Although the food is so good here that, instead of returning to the museum, you may want to go for a postprandial walk in the Kelvingrove Park, or, for the adventurous, have a go at skateboarding. Certainly not a bad plan! Subway: Kelvinhall, turn right at exit and the Kelvingrove is a 10-minute walk from there.